The Buffalo Springfield returned with a new studio album in November of 1967. Despite infighting within the group and the absence of various members from recording sessions, Buffalo Springfield Again is recognized as the critical apex of the group and one of the best rock albums in history. Stephen Stills and Neil Young would always have an uneasy relationship which was a tragedy as their talents and musical styles matched together so well. Young had already begun a withdrawal from the group and his contributions are more in line with his solo work, which would begin in the near future, than those of a united band. The other change was the emergence of Richie Furay as a third talented songwriter which meant fewer opportunities for Stills and Young. Neil Young contributed three strong tracks. “Mr. Soul” is one of the first great rockers of his career. It featured his own lead vocal plus complimentary guitar work and backing vocals from Furay. “Expecting To Fly” was recorded without any other member of the group present. It is one of the more layered and complex songs of his career and was more ambitious than most of what was being produced during the late sixties. “Broken Arrow” is a six minute autobiography of the band and except for a short performance by Furay, it is another track without any other member of the group participating. In fact Stephen Stills does not appear on any of his original compositions. I consider Richie Furay’s “A Child’s Claim To Fame” to be the most memorable track on the album. I remember playing this catchy country/rock song to death back in the day. His lead vocal is superb and it was one of the few true group performances. “Sad Memory” is a haunting love ballad. It is basically just him on electric guitar and vocal with Neil Young contributing some stellar acoustic guitar work in support. His “Good Time Boy” is a well structured song but the decision to have drummer Dewey Martin supply the lead vocal has always seemed a bit odd. Stephen Stills had begun to leave his folk roots behind. “Rock & Roll Woman” was a joint effort with David Crosby who had been dismissed from the Byrds. It was an excellent rock track and would be the beginning of a too date, 42 year relationship between the two. “Bluebird” and “Hung Upside Down” are two more well crafted rock tracks. The only average song on the album is “Everydays” which has a jazzy element to it and feels out of place. Buffalo Springfield Again may have been pieced together by a group which was beginning to fall apart but there is no denying its lasting brilliance. Listening to this album today makes it easy to understand why The Buffalo Springfield are members of The Rock And Roll Hall Of Fame. Stephen Stills began his musical journey as a folkie in the early to mid sixties. His career took a dramatic turn when he and fellow musician Richie Furay met or to be more exact collided with Neil Young. His folk sensibilities would mesh with Young’s rock leanings to form the basis for one of the most creative bands in American music history. The Buffalo Springfield, under the leadership of Stills, Young, and the underrated Furay, would fuse rock and country music and leave behind a legacy that reverberates to the present day. Bass player Bruce Palmer and drummer Dewey Martin would complete the original lineup. They would remain a functioning unit for only a little more than two years, yet such was their talent level and respect, they would be elected to The Rock And Roll Hall Of Fame in 1997. The group spawned the solo careers of Young and Stills, plus provided the foundation for Poco and Crosby, Stills, Nash, and sometimes Young. Buffalo Springfield’s self-titled debut album was different than just about everything else being produced in 1966. Originally released in October to general disinterest by the American record buying public, it was re-released in March 1967. The re-release featured the group’s big hit “For What Its Worth,” enabling the album to become a moderate commercial success. Stephen Stills’ “For What Its Worth” is two and a half minutes of musical bliss. Its introductory guitar notes are still recognizable over four decades after its initial release, and it remains the perfect and eternal song of protest. 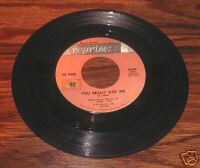 It is not only a relic of the sixties but is that rare song that has retained its relevancy over decades. Neil Young wrote five of the album’s tracks but only sings lead on two as he lacked confidence in his vocal skills at that point in his career. Richie Furay fills in on the other three. Still his song writing ability is superb as “Flying On The Ground Is Wrong,” “Do I Have To Come Right Out And Say It,” “Nowadays Clancy Can’t Even Sing,” and “Burned” which does feature his vocal, are universally excellent. Stills’ contributions are more hit or miss. “Hot Dusty Roads” is a nice country rock song, and “Sit Down I Love You” has remained a part of his live act for years. The album features the interplay of three excellent guitarists and the clear harmonies of four wonderful voices that fit together well. Buffalo Spingfield remains a remarkable debut and an important one yet it was only the beginning as the best was yet to come. The Dave Clark Five were the clean cut band of the British muisc invasion in the mid-1960’s. Dave Clark formed the band in 1960 to earn a little extra money for his soccer team. It sems hard to believe now but they were considered serious rivals of The Beatles for a short time. The DC5 were a little different than many of the bands during their time period. Their line-up was composed of drums, organ, guitar, sax and bass which gave their sound a different feel. Organist Mike Smith was the lead vocalist, not Dave Clark. When they broke-up around 1970 they never refromed for any reason. They were inducted into The Rock And Roll Hall Of Fame two years ago. 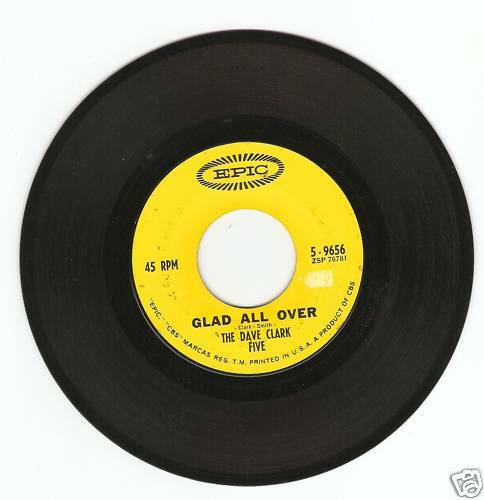 “Glad All Over” burst upon the American music scene in Feb. of 1964. It is joyous, driving rock ‘n’ roll at its mid-sixties best. Organ, guitar, and sax form the foundation for Smith’s vocals. It would be a huge hit reaching number six on the National charts. While alot of sixties material sounds dated today, this is one you should not miss. Let’s see…..It’s 1967 and you have a teenage singer/songwriter composing and issuing a song about an interracial relationship. The song is immediately banned from play on a number of radio stations. The song goes on to become a national hit and one of the most respected hits of the late sixties. “Society’s Child” was a unique song in its day and still rings true today. Janis Ian would go on to a productive career. Her music would sell well if not spectacularly but would be respected as some of the most thoughtful and introspective of the last four decades. “Society’s Child” is a gentle song that belies its message. It is basically a folk tune with pop leanings. It remains a lasting and effective commentary on one of the ills of American society. The Kinks were formed in 1963 by brothers Ray and Dave Davies. They were quickly signed to a recording contract and became part of The British music invasion of The United States in the mid-sixties. The Kinks still exist today and have had a long and commercially succesful career but no song had more impact than their first big American hit. “You Really Got Me” contains one of the best known opening riffs in guitar history and was a first blast of what would become hard rock. Ray Davies may have had the vision but it was Dave who got it just right. Many groups have built upon this riff over he years but The Kinks can always say they were first. 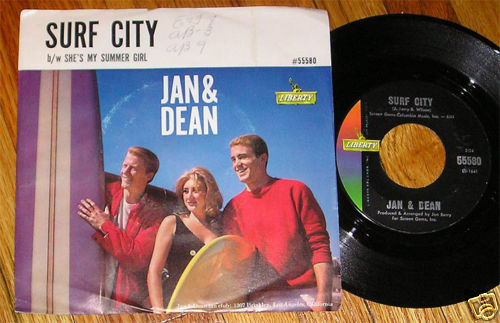 Jan & Dean had been producing light weight pop hits since the late 1950’s. All that changed when they released “Surf City” in the early sixties. They would grab onto the The Beach Boys coat tails and produce an excellent and popular series of surf and car songs during the next half decade. Jan Berry may not have had the overall musical vision on Brian Wilson but he could produce almost as well. He would take his and Dean’s voices and make them sound like a virtual choir. While they could not reproduce their sound live, on a record it was spectacular. “Two Girls For Every Boy” leads off this uptempo romp through the idyllic and long gone California surf scene. While in some ways it may be a relic of a bygone era, it still is an enjoyable listening eperience and remains an eternal song of summer. 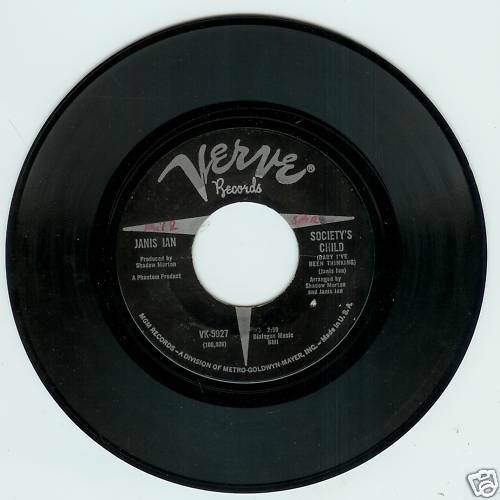 The music buying public agreed as it became their only number one hit. As a bonus it even came with a picture sleeve. This was his third and last studio album for the Specialty label. It may not have been as strong as the first two but Little Richard in the studio was an adventure. “While Lotta Shakin’ Goin’ On,” “Kansas City,” “She Knows How To Rock,” and “Shake A Hand,” are part of his last great album release. Bo Diddley was probably as good as he thought himself to be. He fused the blues with rock ‘n’ roll to create a unique and lasting sound. He also wrote all twelve tracks on this release. “The Clock Strikes Twice,” “Little Girl,” “Bo’s Guitar,” and “Dearest Darlin’” find him at his best and that is very good indeed. You are currently browsing the Muskmellon's Blog blog archives for December, 2009.